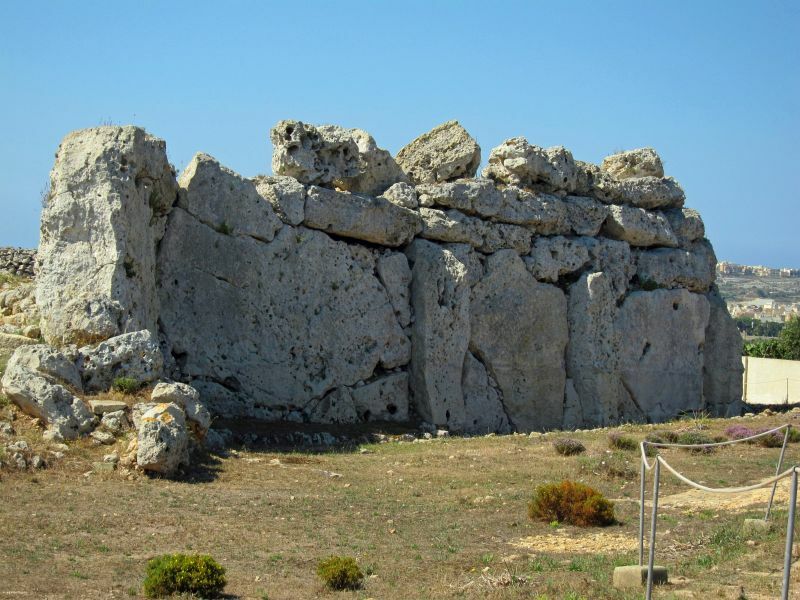 Ġgantija 9″Giants’ Tower”) is a Neolithic, megalithic temple complex on the Mediterranean island of Gozo. 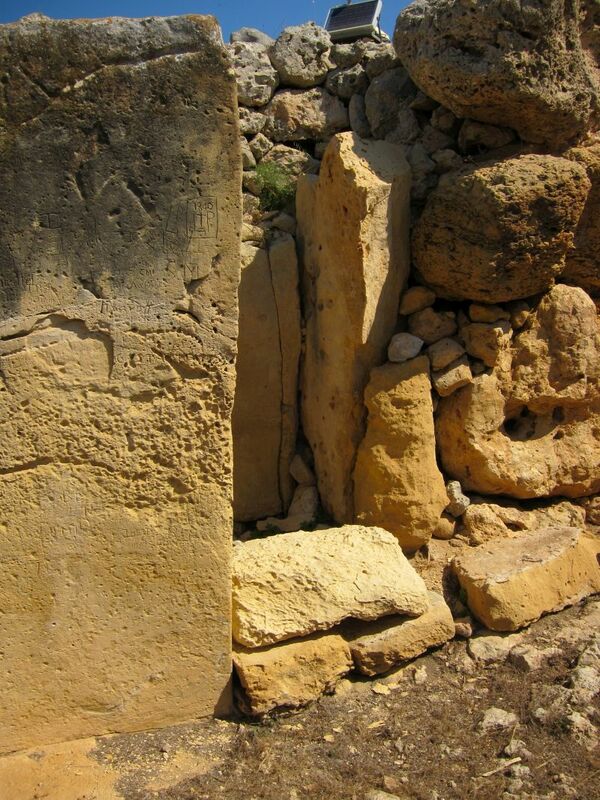 The Ġgantija temples are the earliest of a series of megalithic temples in Malta. 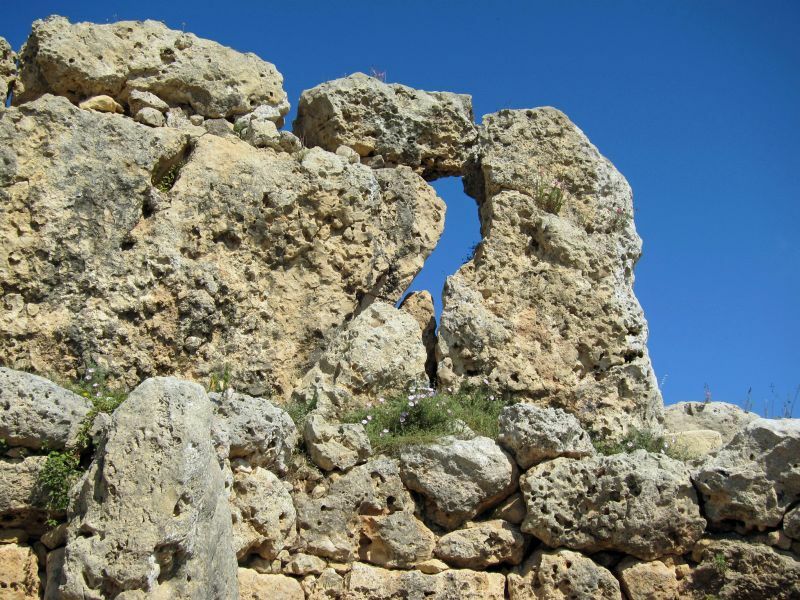 The Ġgantija temples are older than the pyramids of Egypt. 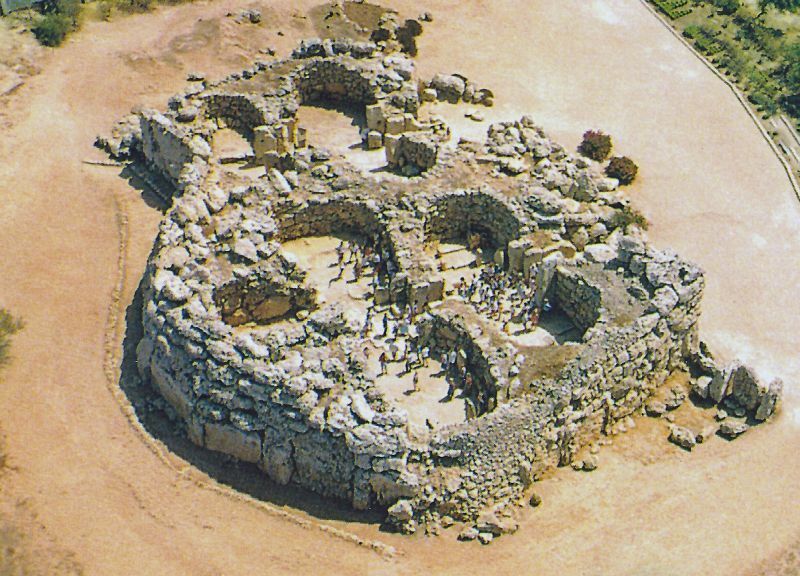 Their makers erected the two Ġgantija temples during the Neolithic Age (c. 3600-2500 BC), which makes these temples more than 5500 years old and the world’s second oldest manmade religious structures, after Göbekli Tepe. 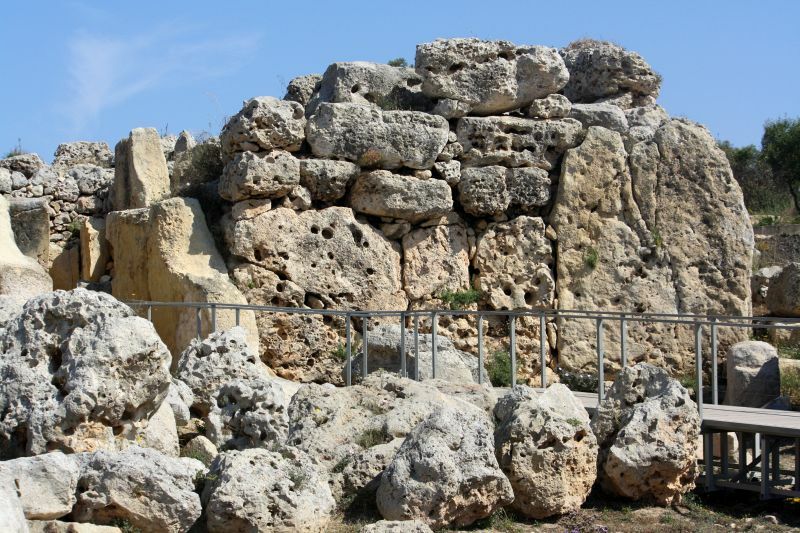 Together with other similar structures, these have been designated a UNESCO World Heritage Site, the Megalithic Temples of Malta. 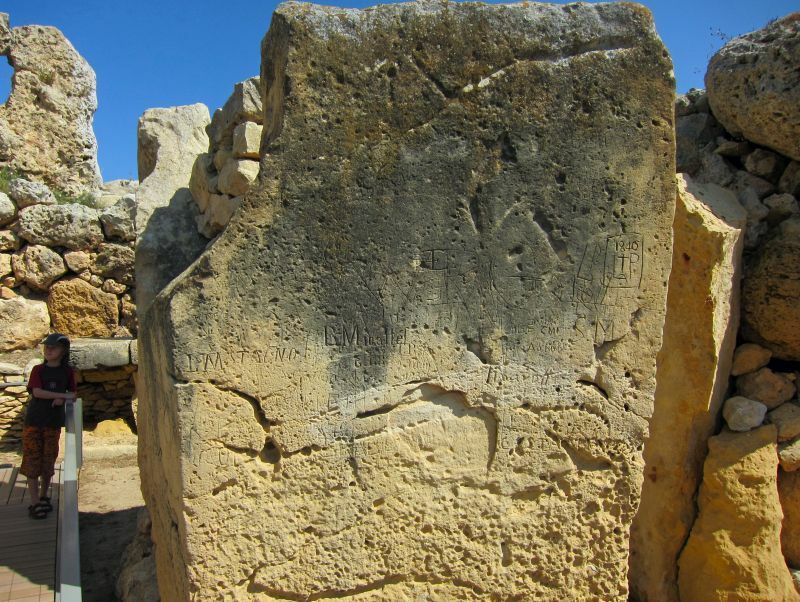 The temples were possibly the site of a Fertility cult; archeologists believe that the numerous figurines and statues found on site are connected with that cult. 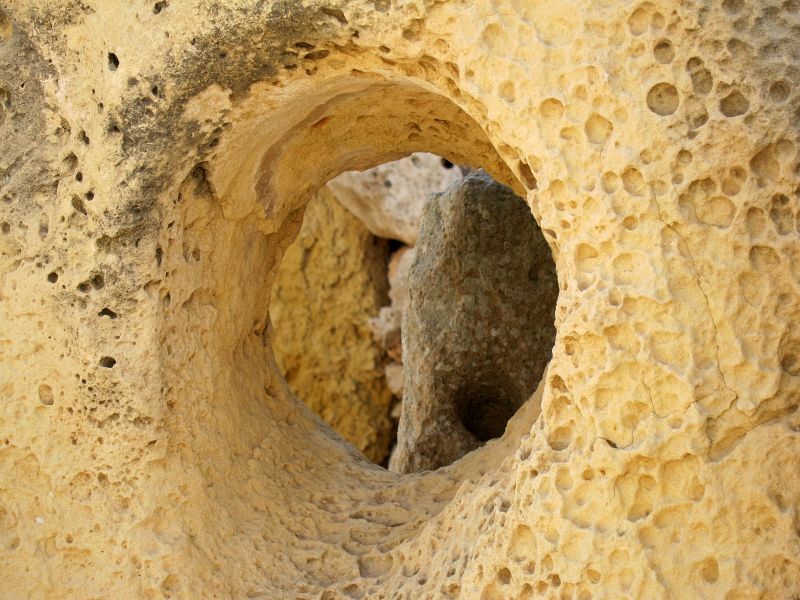 According to local Gozitan folklore, a giantess who ate nothing but broad beans and honey bore a child from a man of the common people. With the child hanging from her shoulder, built these temples and used them as places of worship. 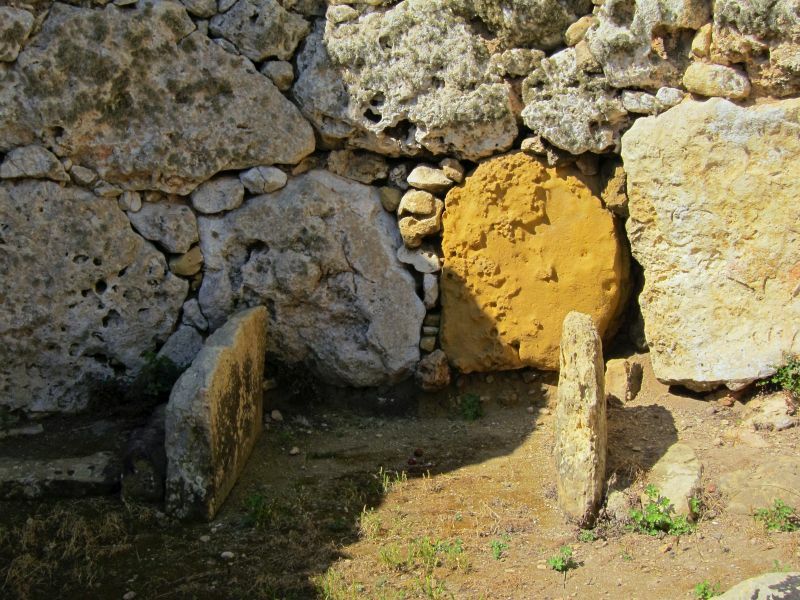 Stone spheres found at Ġgantija, believed to have been used to transport the temple’s enormous stone blocks. 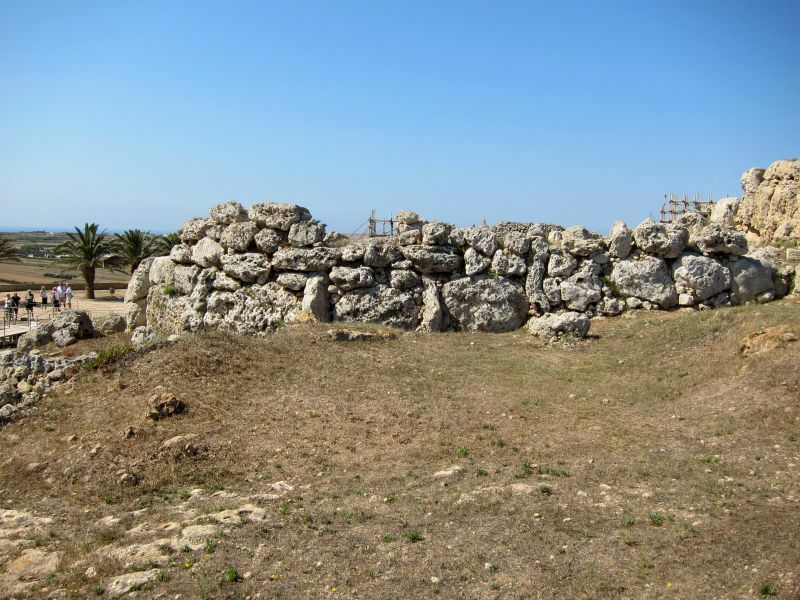 The Ġgantija temples stand at the end of the Xagħra plateau, facing towards the south-east. 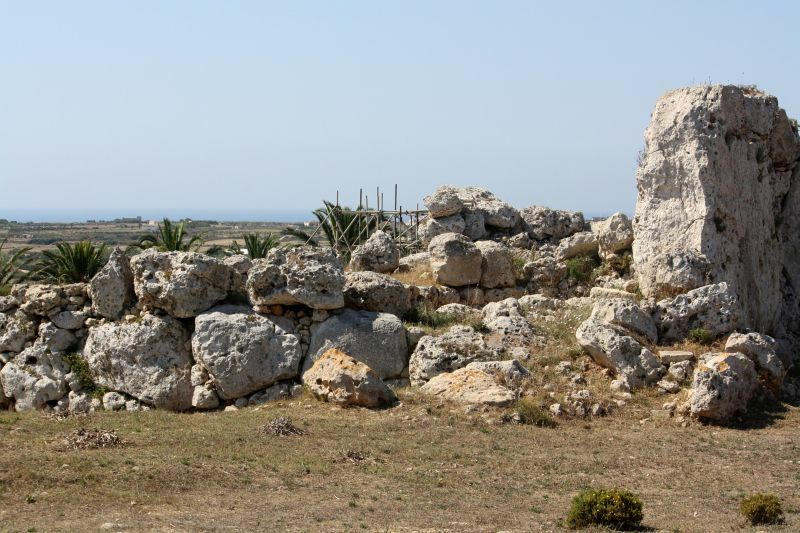 This megalithic monument is in fact two temples, built side by side and enclosed within a boundary wall. 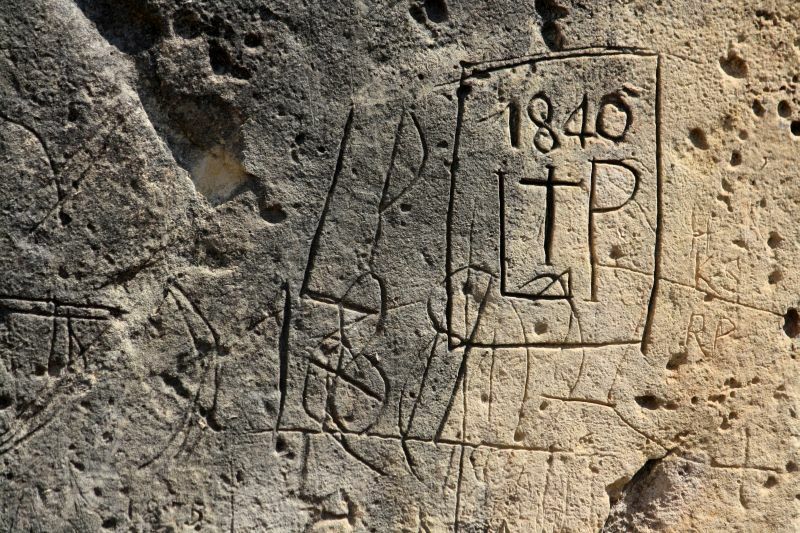 The southerly one is the larger and older, dating back to approximately 3600 BC. It is also better preserved. The plan of the temple incorporates five large apses, with traces of the plaster that once covered the irregular wall still clinging between the blocks. 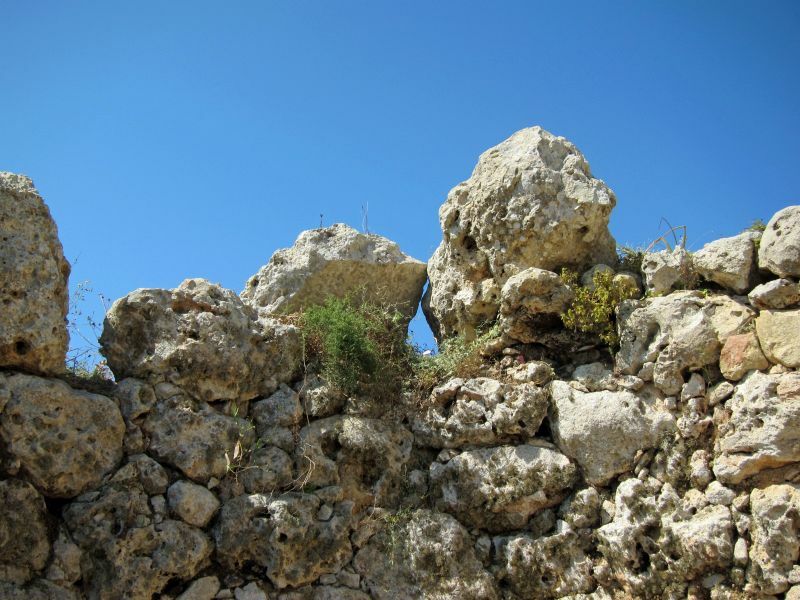 The temples are built in the typical clover-leaf shape, with inner facing blocks marking the shape which was then filled in with rubble. This led to the construction of a series of semi-circular apses connected with a central passage. 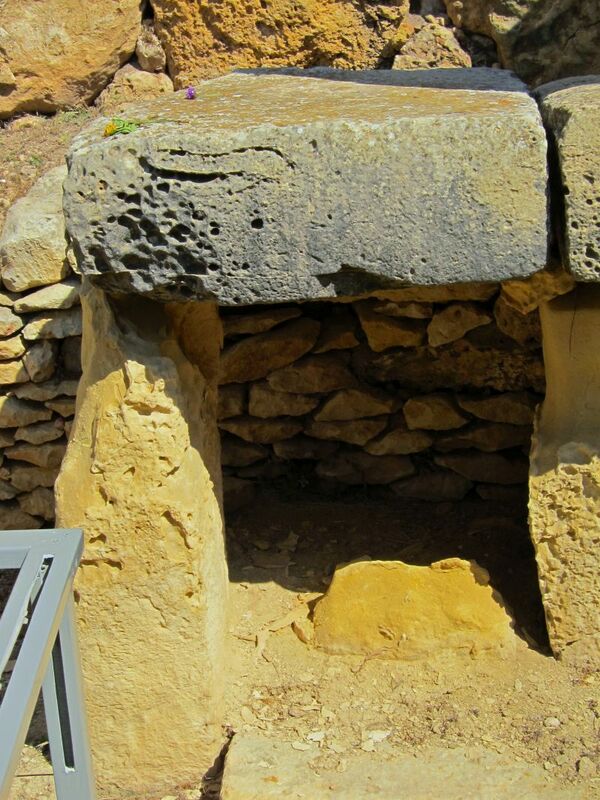 Archaeologists believe that the apses were originally covered by roofing. 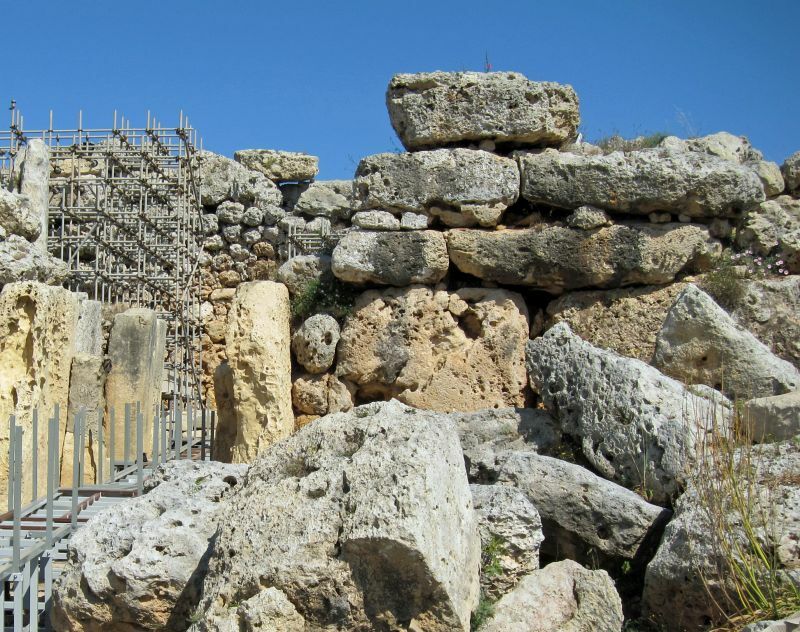 The structures are all the more impressive for having been constructed at a time when no metal tools were available to the natives of the Maltese Islands, and when the wheel had not yet been introduced. 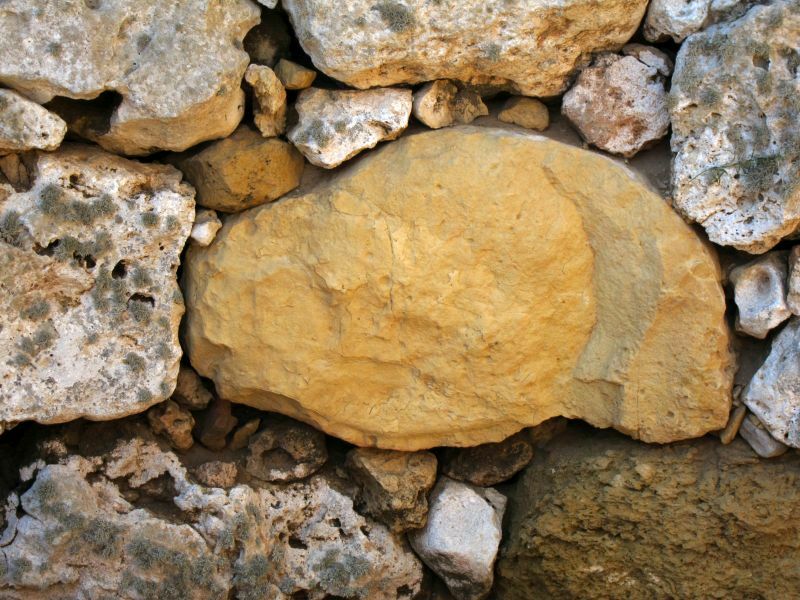 Small, spherical stones have been discovered. 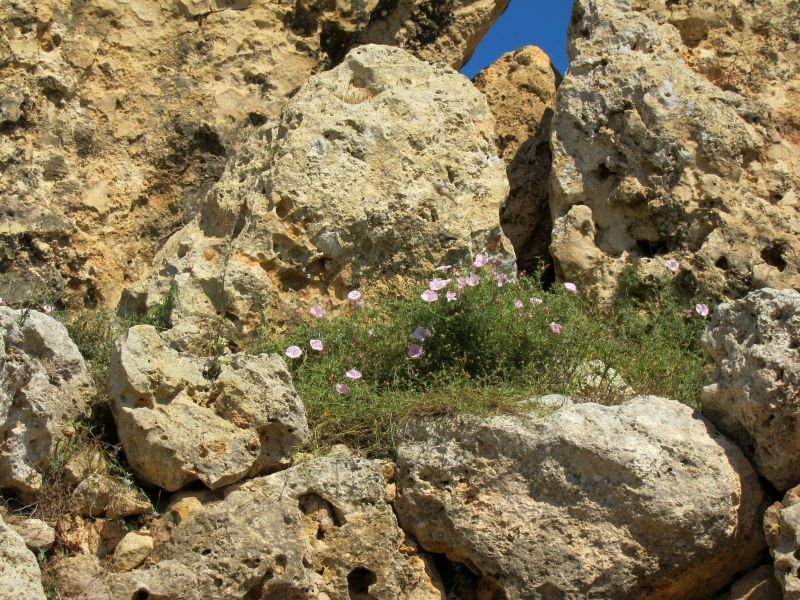 They are believed to have been used as ball bearings to transport the enormous stone blocks required for the temples’ construction. 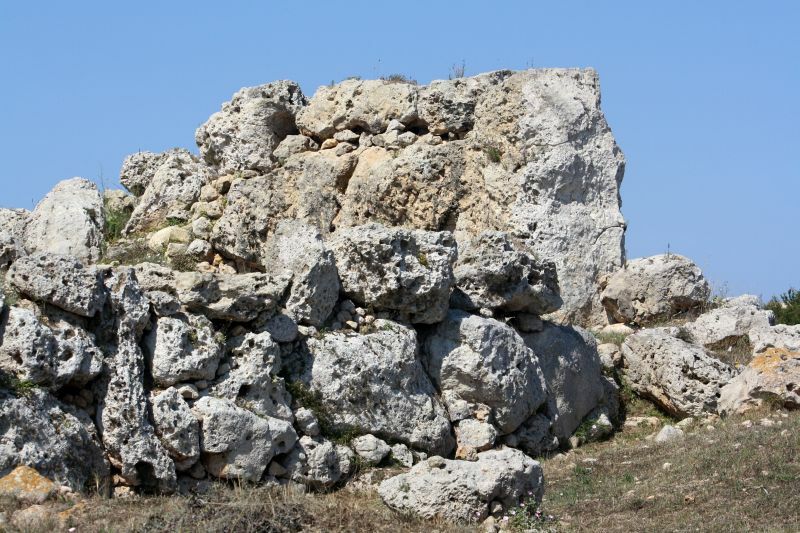 The temple, like other megalithic sites in Malta, faces southeast. The southern temple rises to a height of six metres. 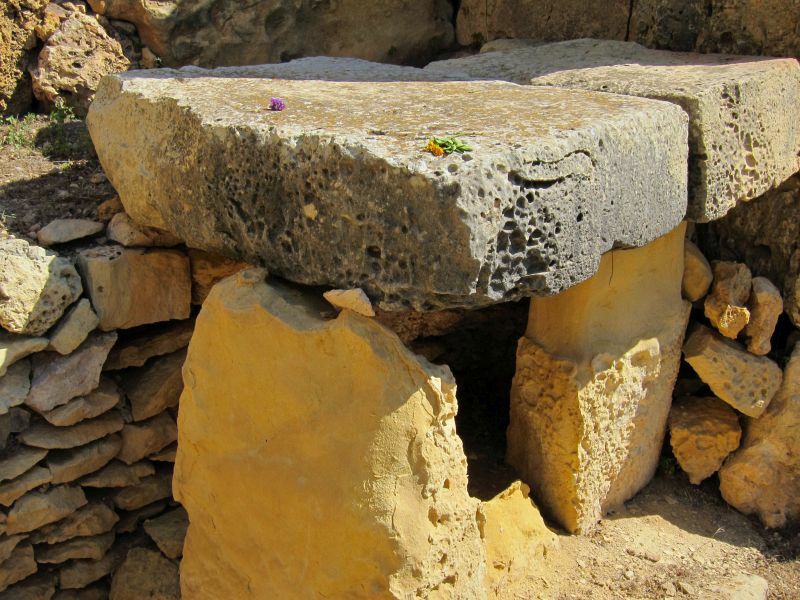 At the entrance sits a large stone block with a recess, which led to the hypothesis that this was a ritual ablution station for purification before entering the complex. 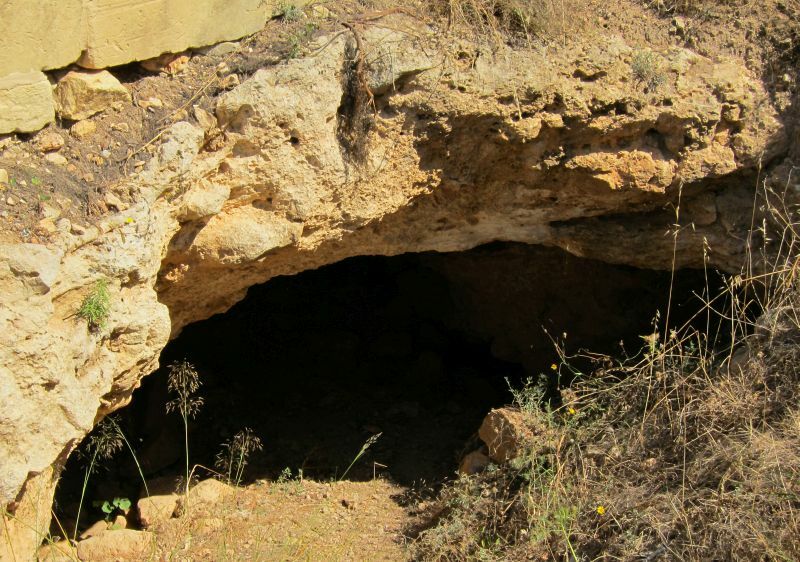 The five apses contain various altars; the finding of animal bones in the site suggests the site was used for animal sacrifice.